Vienna, c.1789. 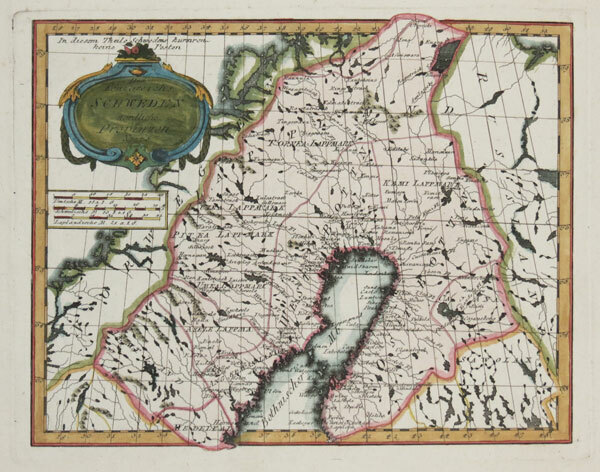 Map of Lapland, at the time a province of Sweden. In 1808 the Russians occupied Finland and created the Grand Duchy. Paris, Delamarche c.1806. 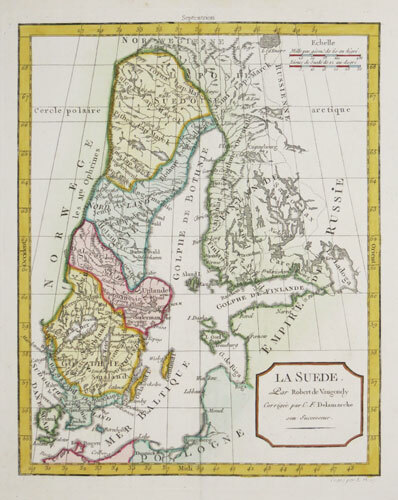 A re-issue of Robert de Vaugondy's smaller format map of Sweden and Finland, published just before Finland's occupation by the Russians in 1808. London: Baldwin & Cradock, 1833. 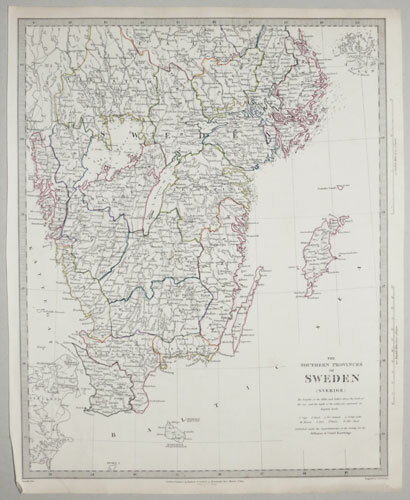 Map of southern Sweden, with Gotland. Paris, Pierre Mariette, 1668. 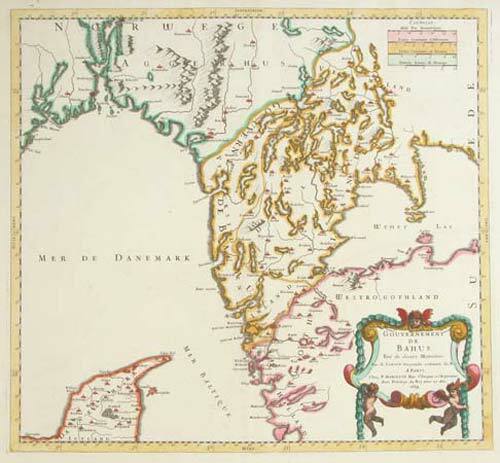 Map of the Swedish coast of the Kattegat. Amsterdam, Jan Jansson, 1641. 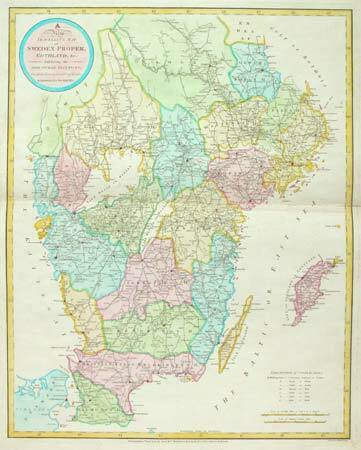 Southern Sweden, marking Stockholm and Goteborg, also showing Gothia and Copenhagen. London, 1823. 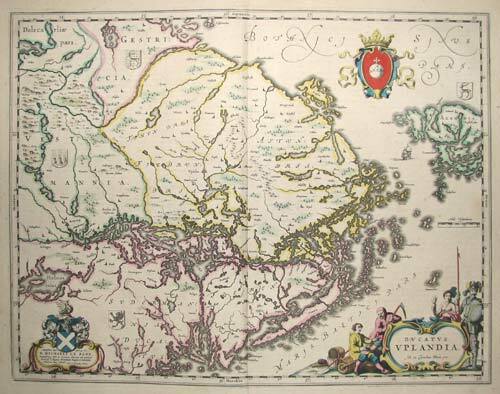 An uncommon map of Gothia. R.H. Laurie's father Robert was the Laurie of the publishers, 'Laurie & Whittle': he took his father's place in the business in 1812 and continued under his own name when Whittle retired in 1818. Paris, Pierre Mariette, 1666. Map of Lapland, now divided between Sweden & Finland. 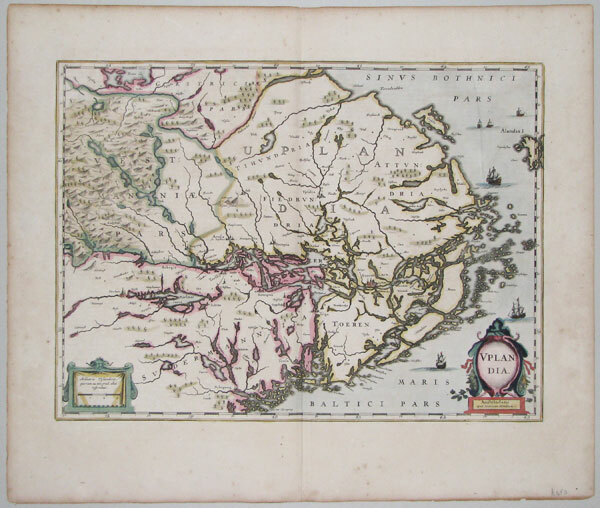 Amsterdam, c.1705. Prospect of Stockholm, probably after Sanson. Amsterdam, Jan Jansson, 1642. The environs of Stockholm, with decorative cartouches for the title and scale. Amsterdam, 1643. The environs of Stockholm.